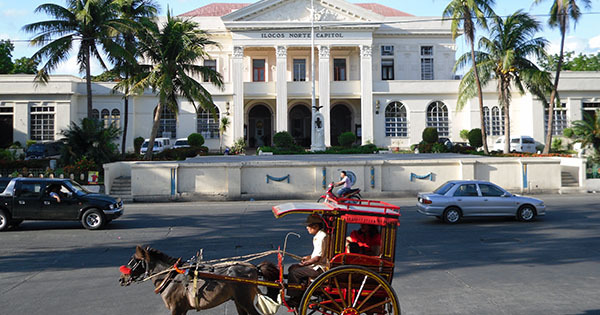 Amazing Laoag City, which is the capital of Ilocos Norte, in Luzon, is the location of the entire Ilocos region’s only commercial airport called Laoag International Airport. Known for its historic scenic tourist attractions, world-class accommodations and superb government agencies, Laoag City is thus a must-see destination for travel enthusiasts in the Philippines. #1 - La Paz Sand Dunes: is the most thrilling thing to do in Barangay 33, Laoag, where you and your company can ride a 4x4, or an all-terrain vehicle (ATV), plus glide through the rolling desert sand on your sand board, along with just having fun in the sun all you want! Albeit the sun’s heat may be scorching, stop fretting because the nearby sea breeze shall cool you down, so you can roam around and around! This is definitely a safe adventure you’ll all love for sure! #2 - Museo Ilocos Norte: is a very affordable experience which is a link to the interesting past of Ilocanos – situated at General Antonio Luna Street. The explanation of the items on exhibit really make an impact in such a way that you can relive their interesting culture of long ago – as you gaze upon and learn more from their furniture, musical instruments, rustic technology, clothing, artifacts, photos, etc. #3 - Rizal Amusement Park: located at Governor Ablan Street, Barangay 4, Rizal Amusement Park has a remarkable stone signage that reads: L-A-O-A-G, and a refreshing fountain, excellent for photo shoots, a leisurely stroll, or visit to a nearby shopping mall in addition to trying out some local restaurants. #4 - Stunning beaches and resorts: Ilocos Norte which faces the South China Sea, is thus endowed with beaches and resorts of the grandest beauty! Just 1.5 hours van or bus ride from Laoag -- there is a white sandy beach in Pagudpud, called Pannzian Beach; there’s Nipa Beach, too, famous for its clear, blue water; to top it off, there’s Pagudpud Beach located near the bay of Bangui, also known as the “Boracay of the North” due to its powdery white sand, great water activities and hotels; et al. #5 - Fascinating water sports Enjoy picture-perfect moments with your loved ones or buddies, as you savor kayaking and paragliding in Saud Beach, Pagudpud – where you can also view the popular Bagui Windmills! On top of that, if you are into diving, step into Terra Rika Beach, also situated in Pagudpud. Other adrenaline pumping must-do’s are boating, snorkeling and surfing. Yes, you can be a real eager beaver there!